Jaak Casino will then reward you with a bonus (Welcome Bonus is for new players only). The terms and conditions of the bonuses vary between different casinos and might also change over time and between different countries, so it is important to compare the different offers and read the T&C for Jaak Casino before signing up. 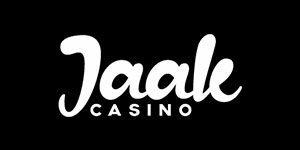 Jaak is a relatively new casino, but it’s already making headlines thanks to the outstanding service consisting of a stunning website, memorable games, secure banking, as well as caring yet professional customer support. Jaak Casino has a VIP scheme which is part of its rewards programme. As you play your favourite games, you accumulate points which qualify you for the various VIP tiers of the casino. All new players are automatically assigned the New Member Tier 1. As they progress, they climb up the 6 other levels in the VIP programme which come with exclusive benefits like additional bonuses, VIP live tournaments, personalized offers, monthly cashbacks, and more. Entry to the final two VIP stages is only available through invitation only. Slots enthusiasts have a wide selection of video slots to choose from at Jaak Casino. Namely, these releases are running on some top-class software platforms, such as NetEnt, NeoGames, Lightning Box, Foxium and SG Gaming, to name a few. The most popular games are Jack and the Beanstalk Slot, Coins of Egypt slot, Adelia The Fortune Wielder Slot, Egyptian Magic slot, and Napoleon: Rise of an Empire Slot. The casino’s collection of table games covers roulette, blackjack, and poker. More precisely, their selection includes games like BlackJack Solo, Roulette Pro, Roulette Royal, Joker Poker, Deuces Wild, and many more. The convenience of making financial transactions on the casino is an important factor to many players and Jaak Casino does not disappoint. It offers an entire gamut of payment options for making withdrawals and deposits which include everything from fast to slow, zero transaction fee too high transaction fee payment methods. Among the various supported payment options you’ll find VISA, MasterCard, Bank Transfer, Sofort, Trustly, Skrill, Skrill 1-Tap, Neteller, ecoPayz, Euteller, Zimpler, Bancontact, EPS, Wire Transfer, PaySafe Card, Instadebit, Entropay, and Fast Bank Transfer. Withdrawal requests are processed within 2 business days from the date of request. You will be notified by email when your Withdrawal Request is processed and the money is sent to your chosen payment method. Another area that Jaak Casino is proud of is its customer support. The casino offers support via live chat, email, and phone which gives players the option to reach a customer support associate on priority at any time of the day. This is their moto: “C.A.R.E” – Customers Are Really Everything! This is why they have a team of professionals ready to answer any questions or inquiries with great care and attention.